Recent leaks have given us a look at the Galaxy S10 in white, black, green, and a ceramic finish. We have also seen the yellow Galaxy S10e and a possible red Galaxy S10. 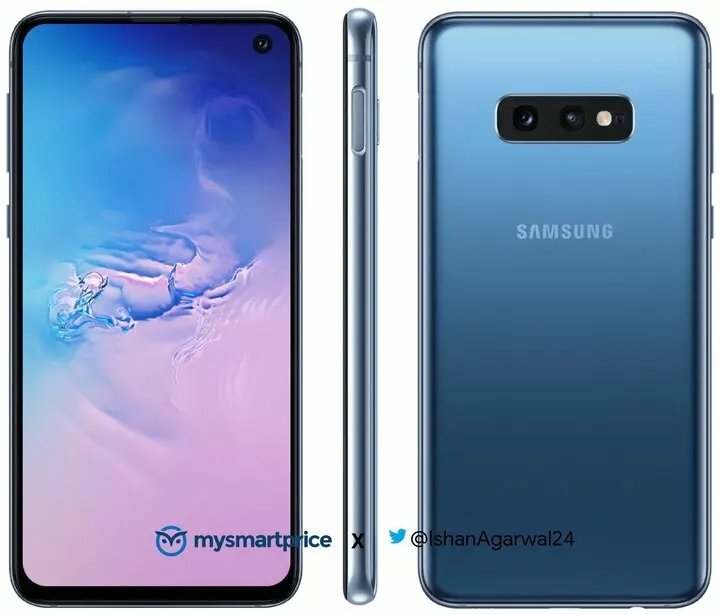 What has been missing is blue, the fourth standard color option for Samsung’s upcoming flagship, but that has been corrected by renders leaked by MySmartPrice. The blue variant looks quite sober and nice, and it’s certainly a far cry from the insanely bright yellow that Samsung might use for the Galaxy S10e. As mentioned above, blue will be part of the standard color options for all Galaxy S10 models. 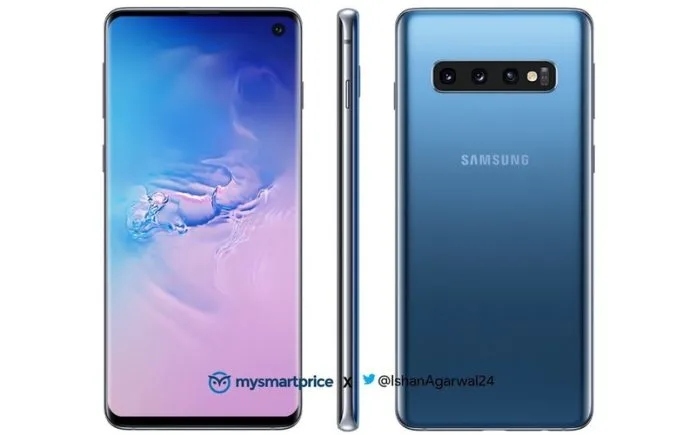 That said, MySmartPrice says these renders are for the Galaxy S10e and Galaxy S10, although the Plus model should look exactly the same in blue. Of course, as tradition would dictate, not every color will be available in every market. While we hope that’s something Samsung changes this year, just like it started offering various storage options in a higher number of countries last year, the sheer number of Galaxy S10 variants and configurations that are expected may make it a tough task for the company. What’s your opinion of the blue Galaxy S10? Do you like it, or do you think the other color options are better? Looks nice. I hope white S10/S10+ will be available in the UK. I had a black S and S8, white S4, S6 and S7. Now I have a blue S9+. If S10+ will have 3d facial recognition or something similar I will buy it. If not I will go for a S10. All these renders all look so washed out… I really hope the real colours are a bit more vibrant. This blue would look nicer with a bit more saturation. It is boring for me. I had two years Coral Blue S7 Edge. Just got an S10 case from Amazon for fun and you can tell immediately that the S10 is actually much bigger than the s8 and very squared. And then when your real s10 turns up your amazon early s10 case won’t fit as it’s the wrong case for the s10. There is nothing out for the s10 yet as in not released yet. Well, that’s what i meant when i said they aren’t doing it right if the compact phone makes one hand usage difficult in general or with fingerprint access. Again, hoping that isn’t actually the case (no pun intended). It will give you rsi stretching for the power button for the quick camera launch. Feels like a plus size phone in the hand but it is about 2 to 3 mm thinner than the s8. I’ll let you know about the S10e size as soon as my case arrives. But the Bixby button… Well I had it remapped on the S9 to open the camera. And it worked great for that (it’s one of the things I actually miss on the S7). Problem I had with the remapping to the camera which would have been ideal was that it wasn’t very stable and every so often found there were crashes when trying to load the camera. I have a case for the S10e on its way and it should arrive before the 20th. I’ll let you know if it’s as cumbersome as we expect or not. But I don’t have much hope. It’s a shame I can’t post photo here. But I can tell you that my s8 in a slim tpu case 0.5mm each side can fit into the S10 case and there is still little room on each side. Which doesn’t bode well for the S10, since the S9 was a hair shorter than the S8. Now I’m really curious about the size of the S10e ’cause I highly doubt it’ll be the size of an iPhone 8 as some suggested.